In the Dutch legal system, the (limited) community of property is taken as the default arrangement for a marriage or partnership. For marriages before 1 January 2018, this means that all goods and debts, whether incurred before or during marriage (or registered partnership), are part of the community and hence should be partitioned in halves in the case of a divorce. Exceptions are received donations or inheritances that were specifically excluded from the community by the bestower or the deceased (= exclusion clause). As per 1 January 2018, the law has changed. All goods and debts incurred during marriage are part of the community of property and hence should be partitioned in halves in the case of a divorce. Goods and debts from before the date of marriage remain private and are not included in the community of property, as well as received donations or inheritances before and/or during marriage. Both partners remain liable for debts from after the date of marriage. This is also the case when the other partner was not aware of such debts. The change of law as per 1 January 2018 does also apply for so-called registered partnerships. When you entered into a registered partnership before 1 January 2018 – without any pre- or post- nuptial agreement, see below- than there exists a community of property. Did you enter into a registered partnership after 1 January 2018 without arrangements, the community of property is limited. The reference date for determining the size of the community is the date on which the petition for the divorce was filed. Property and debts incurred after that date are considered private and will not be divided. The value of the community goods to be divided is usually set at the economic value on the date of the actual division. Anyone who does not opt for the full legal community of property will have to approach a notary to draw up a marriage contract. This pre- or post-nuptial agreement may include anything the parties would like to include (as long as this remains within the law). Common forms are exclusion from the community through a (final or periodic) netting clause, or so-called ‘cold exclusion’ excluding all property from the community without any proprietary set-off. In addition, a wide range of other options are also available, such as a restricted community of goods. In the case of a periodic netting clause, settlements should be calculated at regular intervals (e.g. annually). What should be included in the settlement depends on the contents of the marriage contract. This mostly includes non-spent income: income (derived from labour and/or property) that was not used for regular daily expenses. A common issue is that parties forget to set off regularly while married. In such cases, the law provides that all previously unsettled property present by the end of the marriage should be considered as derived from non-spent income, and should thus be included in the settlement. If no proof can be provided that this property was derived from other sources and should therefore remain private, it will have to be divided as if it were community property after all. A final netting clause usually prescribes that parties settle the marital property at the end of the marriage as if it were community property. With this arrangement, property does not become joint property and creditors of one partner cannot claim the other partner’s assets. In order to make sure both ex-partners have an equal property balance, on partner pays the other partner an amount by way of a set-off. Specific property may be excluded from this mandatory final settlement by clear provisions in the marriage contract. In the case of cold exclusion, there is no (limited) marital community nor a mandatory proprietary set-off. All private property remains private and no settlement is required. That does not mean, however, that there will never be a need to divide any property. Despite the cold exclusion, some joint property may have been created which needs to be partitioned again, such as a jointly-owned home (and/or mortgage). This is considered a simple community rather than a marital community, which means that other legal provisions apply. Cold exclusion has no bearing on whether or not alimony is due: this is exclusively determined by statutory regulations, and not by any marriage contract. 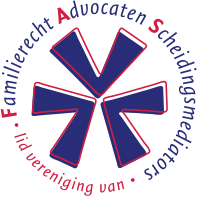 Exclusion of alimony by marriage contract is not (yet) possible in the Netherlands. For international marriages. i.e. 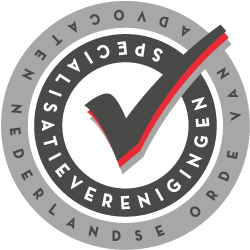 marriages between people of different nationalities or marriages where spouses reside in a country other than that of their nationality, it is advisable to actively lay down which jurisdiction applies: Dutch law or the law of another country. The applicable law can be set out in the marriage contract. This is called ‘choice of jurisdiction’ and prevents unpleasant surprises such as differing law being applied to marital property, resulting in private assets being treated as joint property or vice versa. Marriage contracts are usually drawn up beforehand so that they can become effective as soon as the marriage starts (pre-nuptial agreement). Another option is to enter into a marriage contract while already married, and in this way exclude (part of) the matrimonial property from the community (post-nuptial agreement). The community created prior to the agreement should be divided at that time. Marital contracts can also be modified during the marriage. The above mentioned about pre-or post nuptial agreements does also apply when entering into a so-called registered partnership. Without any arrangements, there exists a (limited) community of property (depending on the exact date of marriage). But one can make up pre- or post- nuptial agreements too (contract).